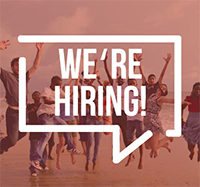 The Global Health Institute is looking for a communications intern who is savvy in social media and has the skills to perform other communications duties. The intern works directly with the GHI communications manager and GHI’s administrator on a variety of tasks, including website posts, social media outreach, infographics, news writing, newsletter creation and other tasks as assigned. 10-12 hours per week depending on workload and class schedule. Most hours will be spent at the Medical Sciences Center office. More hours may be available during the summer.